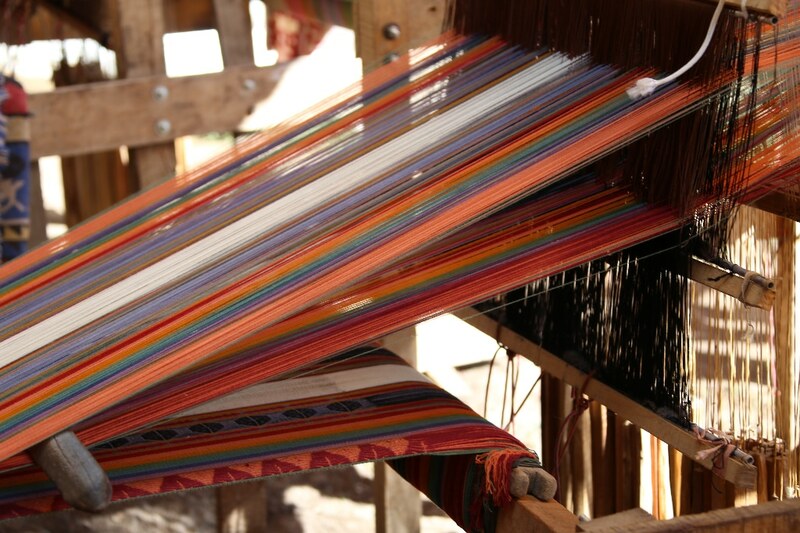 Chawaitire or Chawaytiri, or the Community of the Llama, is one of the 12 Communities of Indigenous farmers of Pisac, and is located along a 17 kilometres trail from this little peruvian village. This community is known because of their amazing customs like mink’a, Ayni, rotating traditional agriculture, fascinating unique crafts, weaving, traditional celebrations, art music, traditional dances ( they participate every year to Carnavalesco Pisac and even won for two times the first place!). 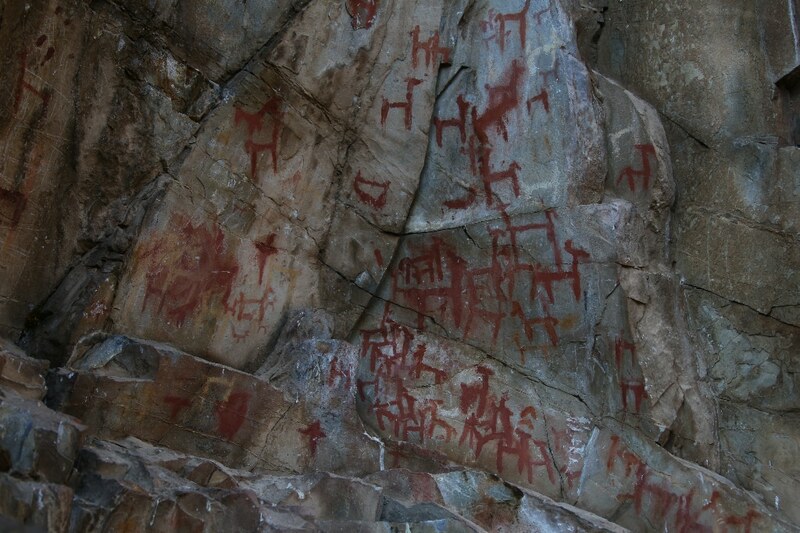 The paintings are rating back 5000 years before Christ ( as verified by Dr. Jorge Flores Ochoa and Luis Barreda Murrilo). We visit the community being invited to lunch by Lucio Turay, the chief of the community. 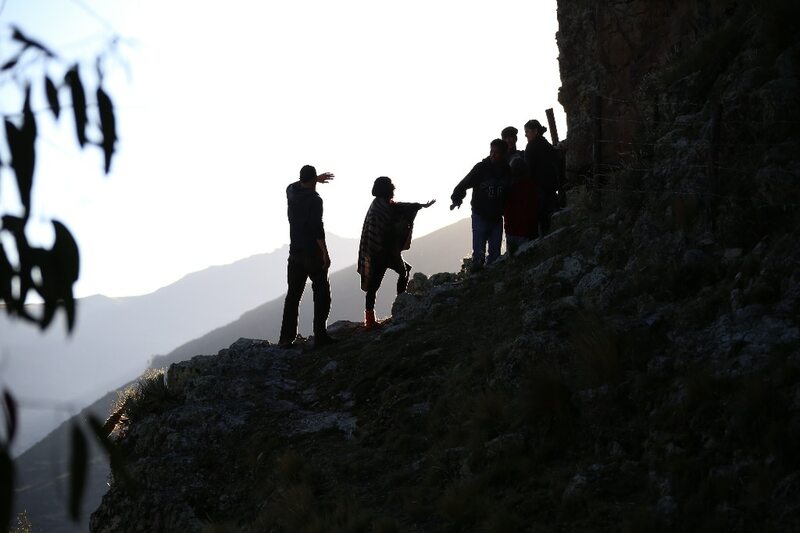 We first met Lucio when we organized the trip to Sacred Rainbow Mountain, his elder son was our trustful guide and Lucio helped us along the challenging trip.We were hypnotized about his wisdom, warm, open heart and physical fit form! One day before our visit, Gabi called Lucio and announced him that he would come with some friends to lunch…….”some” meaning an entire van!!! Lucio family was truly happy about our visit. 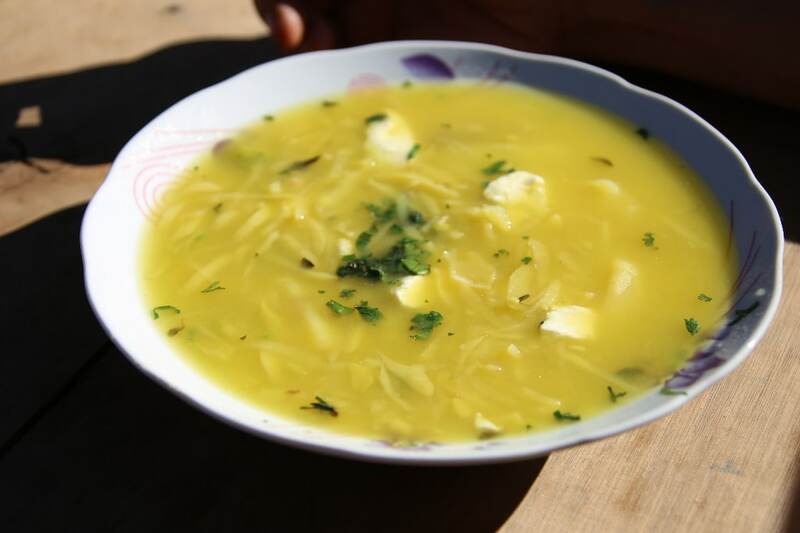 We ate a “buenasso” potato soup called from the locals “Lisa Soup”, we bought hand crafted alpaca ponchos, scarfs made with alpaca or llama wool, hand made wallets with traditional iconography and colorful belts! 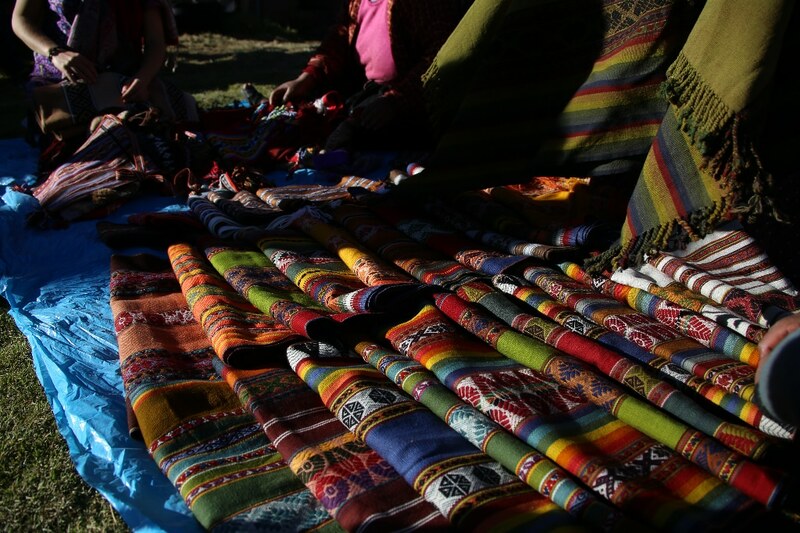 In the making of these unique pieces of art, Chawaytiriños use natural plants and herbs for the colors and ancestral techniques and designs. They are teaching their children this knowledge and trespass their wisdom to the next generations, in this way they are keeping their tradition alive. 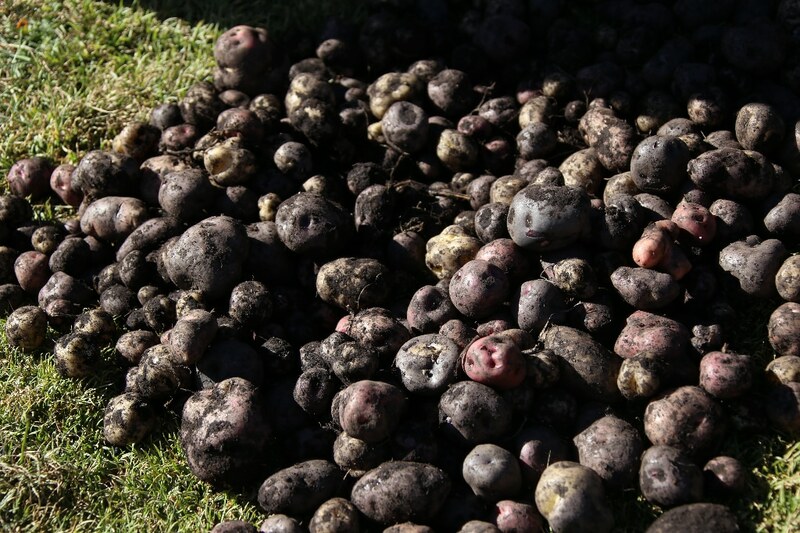 Lucio told us about their bio agriculture and he was proud that the community is producing more than 500 varieties of native potatoes ( suyt’u, puma makin, churuspi, amakhayi, qhachun waqachi..), beans, tarwi, quinoa and maka ( well known for its healthy properties). He told us that their children are strong and healthy because of their only bio products that are using! Believe me, they really are! The day ended with our visit to the archeological site, with the “ dinosaurs” that Aris saw on the rocks of the Mountain and with the promise that will come back to visit them again!